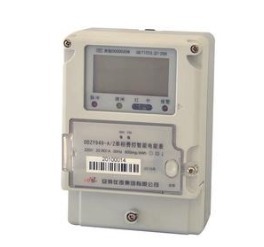 According to the latest report of the world's leading research institute IHS, â€œSmart Meter Global Market 2013â€, the global annual shipments of communications meters will exceed 100 million in 2014, which is in line with the negative sentiment expressed by many metrology manufacturers in recent years. In stark contrast. From 82 million units in 2013, the annual shipments of meters will exceed the 100 million mark next year and will continue until 2017 at least. By then, these meters will hopefully bring 5 billion U.S. dollars in profits for metering manufacturers. Given the exhaustion of government funding, the slowing down of metrological legislation in Latin America and the long-awaited first demonstration of the European Unionâ€™s smart meters, the North American market has experienced a rapid decline. â€œAlthough the growth rate of leading metering solutions in recent years has been disappointing in many traditional markets, there is still much good news,â€ said Jacob Pereira, IHS smart power infrastructure analyst. â€œChinaâ€™s massive infrastructure modernization efforts include continuing The overhaul of the old metering system nationwide was of great significance to a country with more than 400 million metering points. In addition, some large EU economies solemnly clarified their long-awaited first show time, charging the market. ."
Even so, most Chinese homes and businesses install communication meters that are unable to meet "smart" standards. They are simple one-way communication devices that are used for automatic meter reading and do not have advanced features related to "smart". However, the European metrology demonstration that will begin in the next few years will require these products to integrate other functions. The news of future growth is undoubtedly a comfort to many manufacturers who have been accustomed to hearing bad news in recent years, such as the termination of the US stimulus fund, the disappointing instrument requirements of Brazil, and the many delays in Europeâ€™s first exhibition. Pereira said that the market for communications meters did not stop or decline as a result. It is only a change of location. Previous postThe value of repairing ships has fallen, and the company has shouted "I can't afford to hurt."